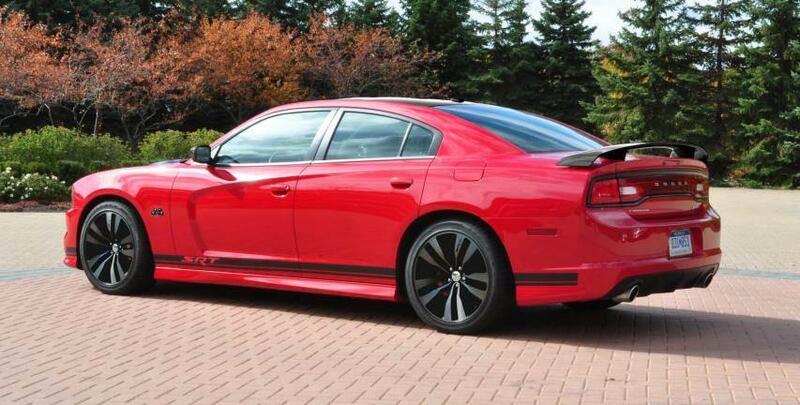 Dodge released photos and details on a special edition Charger, namely the SRT 392. The new sports model is going to debut at the upcoming Spring Festival of LXs which will take place in Irvine, California. The American model stands out thanks to a special red exterior finish combined with black contrasting racing stripes, new alloy wheels in a Black Vapor Chrome color, gloss black hood, roof and rear wing. Dodge released no details about any interior improvements but expect to see at least few SRT 392 badges alongside with new trim and inserts. The engine range will most likely carry over, more information on this following to be released in the coming months. “The stripe and decal complement the black on the upper side of the car really well and ties into the black on the wheels,” says the company. 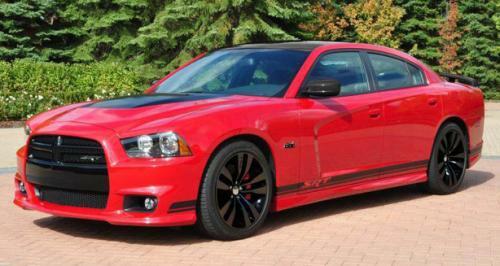 The new Dodge Charger SRT 392 will go on sale later this year, the American car maker planning to produce a total of 392 vehicles.